Online dating service and IAC property Match.com is getting into the highly-targeted subscription dating game with the acquisition of People Media, which it is taking off the hands of publicly traded PE firm American Capital and a host of other investors for $80 million in cash. 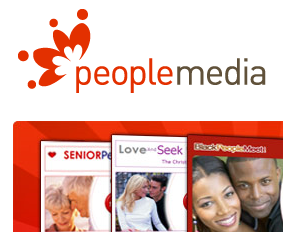 The deal includes the purchase of about 27 targeted dating sites with a combined 255,000 paying subscribers, including BlackPeopleMeet.com, BBPeopleMeet.com, LDSPlanet.com, SingleParentMeet.com and SeniorPeopleMeet.com. People Media, founded in 2002, had $11.6 million of EBITDA in 2008 and quotes Jupiter Research as saying the combined revenues of the targeted dating service business are expected to reach $1.2 billion worldwide this year. Still according to the announcement, People Media, besides exclusively powering multiple AOL Personals communities, reaches nearly 4 million internet users each month. Match.com attracted about 5.8 million unique monthly users in May 09 according to comScore and reported $9.9 million in operating income before amortization last year. And it’s not like Match.com’s parent company IAC/Interactive is lacking the cash for an acquisition of this size: after buying back 3 million shares for an average $15.15 apiece in the first quarter of the year, it ended the quarter with a whopping $2 billion in cash and securities with just $98.5 million in long-term debt.